Be a part of Wimbledon history! Whether you are celebrating a special occasion, buying a unique gift or would like to celebrate the memory of a loved one, we are offering you the chance to sponsor your favourite seat for 5 years with a name on a commemorative plaque in our stunning auditorium. You will receive a certificate along with one complimentary ticket to a production of your choice and a glass of champagne. 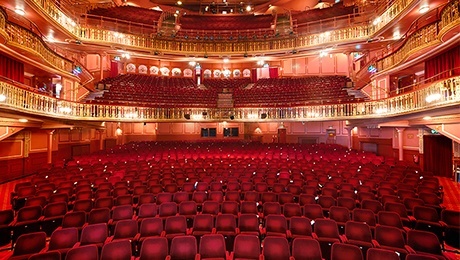 Simply purchase the Seat Sponsorship in the area of the theatre you would like and a member of our team will be in touch to arrange which seat you would like. · A member of the NWT team will contact you directly via email to confirm the name you would like to include on your plaque. · Seats are subject to availability and allocated on a first-come, first-served basis. · The complimentary ticket for your next visit will be subject to availability. The plaque will appear on the back of your chosen seat for 5 years.